I love humor . . .
And I think God has a great sense of humor. Because He took this young girl, who was terrified to speak in front of others, and called her to speak for Him. The call to speak began as a gentle nudge, however in front of a large crowd speaking at my father's funeral, God gave me conformation. Not the venue or the occasion I would have chosen, but there couldn't have been a better place to feel His presence, strength, and guidance. Since 1999, I have been speaking to encourage, inspire, and challenge others by sharing the truths found in God's Word---while having a lot of fun along with way. Having faced hardships myself I know first-hand this call to the Christian Life is not always easy. God does not promise us a life with no pain or stress, but he DOES promise that He will never leave us or forsake us. I would love to meet you and spend time with you. We will have fun, for there is "a time to weep and a time to laugh, a time to mourn, and a time to dance. . ." (Ecc. 3:4). Together we can get through the weeping and the mourning and enjoy the laughing and the dancing. Watch "Daddy's Coat"-- Short encouragement for today . . . SPEAKING TOPICS . . .
What does it look like to be the Bride of Christ . . . waiting on her Bridegroom. Understanding what it means to walk with God in the midst of our busyness. Daddy's Coat . . . God's Great Love for Us. Becoming a real "Daddy's Girl"
Discovering the weights that keep us down. Who Am I God? And What Is My Purpose? Discovering out spiritual gifts and learning to position ourselves to be used of God. "We enjoyed having Beth Fortune lead our Women’s Summer Bible study, Completely His - loving Jesus without limits. This study was engaging as we heard from a women’s perspective part of the bride of Christ, we need to be… ready to do whatever He has called us to do. Loving Him Without Limits …. holding nothing back of ourselves and giving Him everything we have. 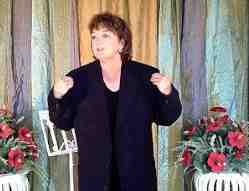 "As a speaker and person, Beth is authentic, funny, transparent, grounded and real. 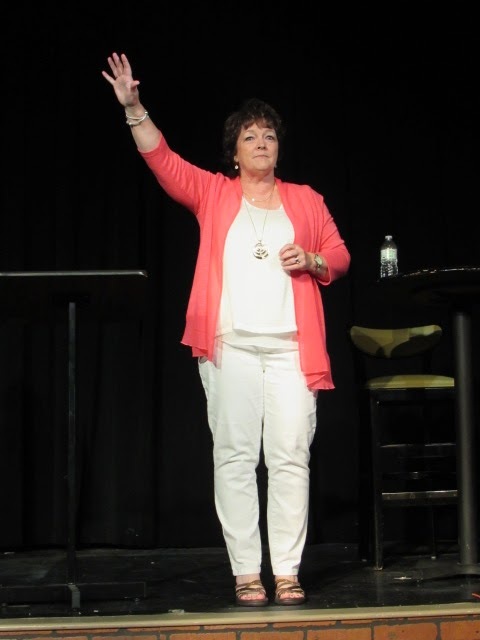 On stage, Beth will have you laughing and in the next minute she will have tears in your eyes as she shares lessons of life walking with Christ. Off stage you’ll feel like you’ve made a new best friend. She is sensitive to the leading of the Holy Spirit, open with her story, passionate about Jesus Christ and invites you into a deeper and more real relationship with him. Her message is simple enough that someone who had never heard of Christ could relate, and complex enough that those walking in the Christian faith for years will see the Bible in a new and exciting way. " "Even before we met, I sensed a connection with Beth and knew we wanted her to speak at our banquet. She was so easy to work with and supportive in helping us find our theme. Her love for Christ and others is evident in her spirit. Beth's message is personal, uplifting and engaging, addressing women who need to come to a saving knowledge of the Lord as well as those who need encouragement in the Lord. She came to us as a speaker, she left as a friend." "When I think of Beth Fortune the word Integrity comes to mind. You will not find a woman more integrity based. Her heart for the Lord is her driving purpose in longing to use her gifts and talents---all for His glory. Beth has an amazing ability to see the hand of God in every moment of her life. She brings to the platform not only integrity but humility mingled with powerful application from the word of God. You will not find a more transparent and loving person. I highly recommend Beth as a speaker for any venue. You won't be disappointed!" "I love Beth's classes! She comes with a smile on her face, a twinkle in her eye, and the love of Jesus in her heart as she shares a message from the Scriptures. You leave her studies feeling refreshed, encouraged, and motivated to face the world with new resolve." "Beth is a gifted speaker who draws in her audience with meaningful messages, energetic deliveries, and contagious laughter. I sent to Beth, her first fan letter as a writer years ago and I'm the first one in line when she's going to speak. " Co-director of Christian Communicators and 3-2-1>Go! "I would highly recommend Beth as a speaker. She gave a program about Fall Gardening for us at the Mauldin Library. She was very enthusiastic about her subject. She is very knowledgeable and shared lots of interesting information. I am a hands-on person and I really appreciated her bringing the plants for people to see and touch."